Growth is a term we use to describe so many things on the homestead. We use it for crops, land size, livestock, and to describe where our personal journey takes us. We have had growth in a number of areas over these past months! To start, we planted the garden and had pretty decent success thus far. The corn is almost knee high – which meets the old saying “knee high by the 4th of July”. I think it’s the first year we have had it grow that tall this soon. 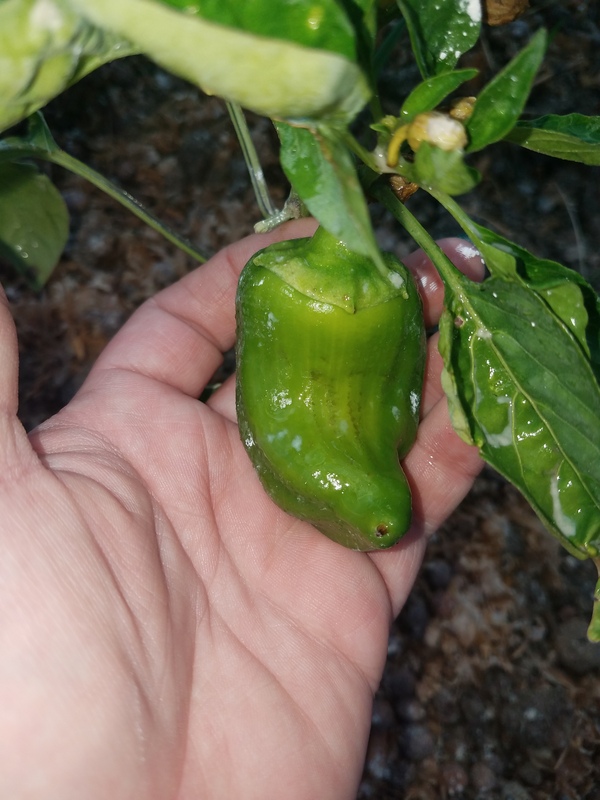 My father in law was a pro, he had some kind of magic in that green thumb. I feel like he would have been proud of the progress this year. 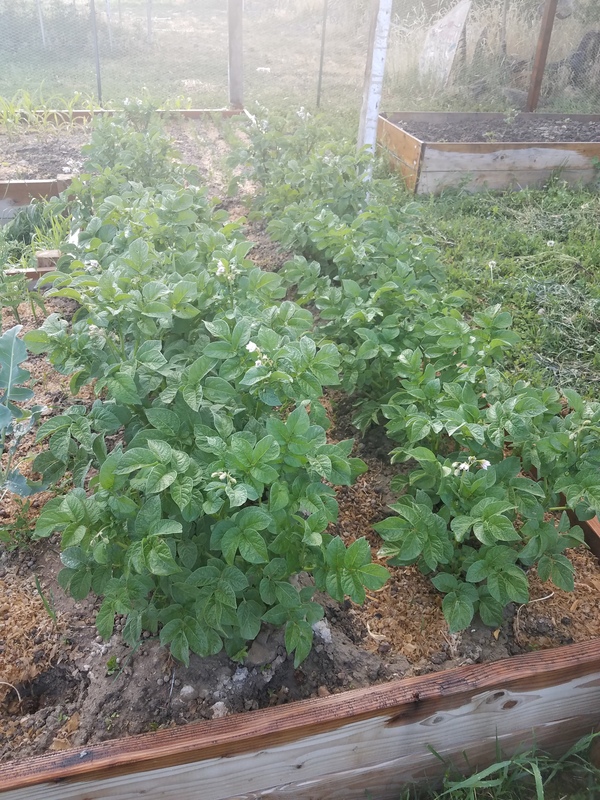 We had some of the beans that got a touch of frost, and eaten by the bugs before they could grow. They are growing now, and we re-sowed those that didn’t grow well. They aren’t very tall yet, but we sowed a bit late so they won’t produce until a bit later in the season. The potatoes are huge! I can’t believe the size of the plants already! With all of the clay in the soil here, growing potatoes has been a big challenge. We tried potato towers last year with minimal success. There were a lot of potatoes, but they were small and barely usable. Small enough that the potatoes from all three towers went into one crock pot for a dinner. I’m hopeful that where they are right now is a good indicator of a good harvest. 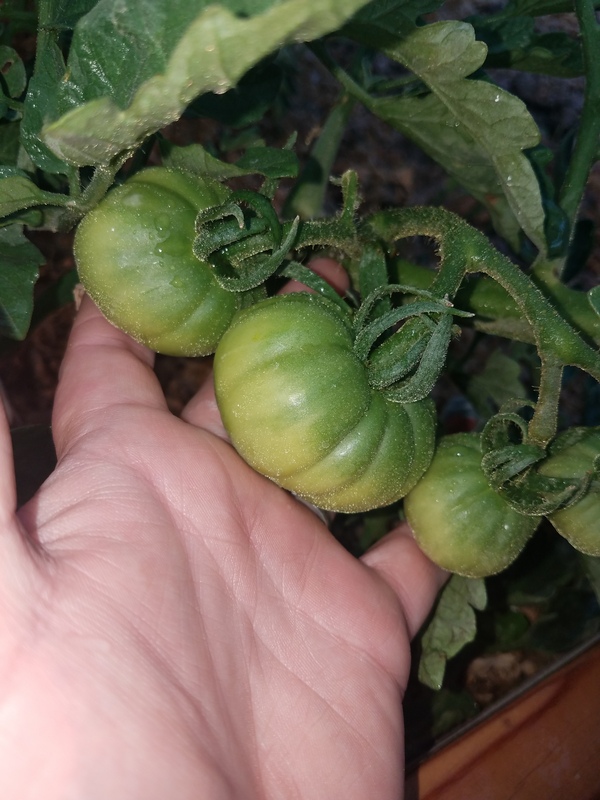 I tried to start tomatoes from seeds this year, and they appeared to be growing well, but suddenly one day they were dead. It made no sense to try again at that point, it was too late in the year to get decent growth in time to transplant then. So we bought tomato (and pepper) plants. They are covered in tomatoes and blossoms! 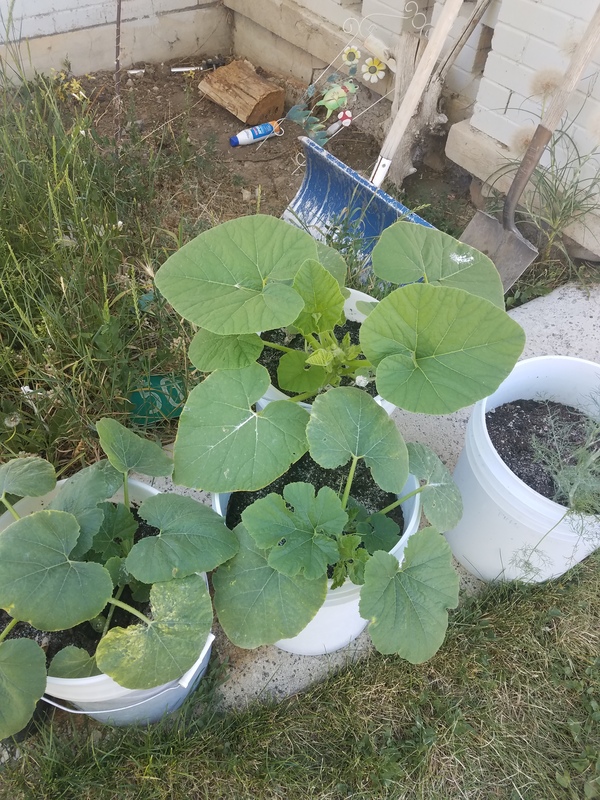 Even when you don’t start your own seeds, it’s so awesome to see the bounty! We planted so many things, we ended up needing more boxes! We built 2 more boxes to house the peas and the strawberry plants, which both have taken off. And I still ended up growing a few things in buckets because I had no room. you need, and even more amazing is the produce you can get from just a few small seeds. It makes me proud, drives my work, and fills my heart with gratitude. 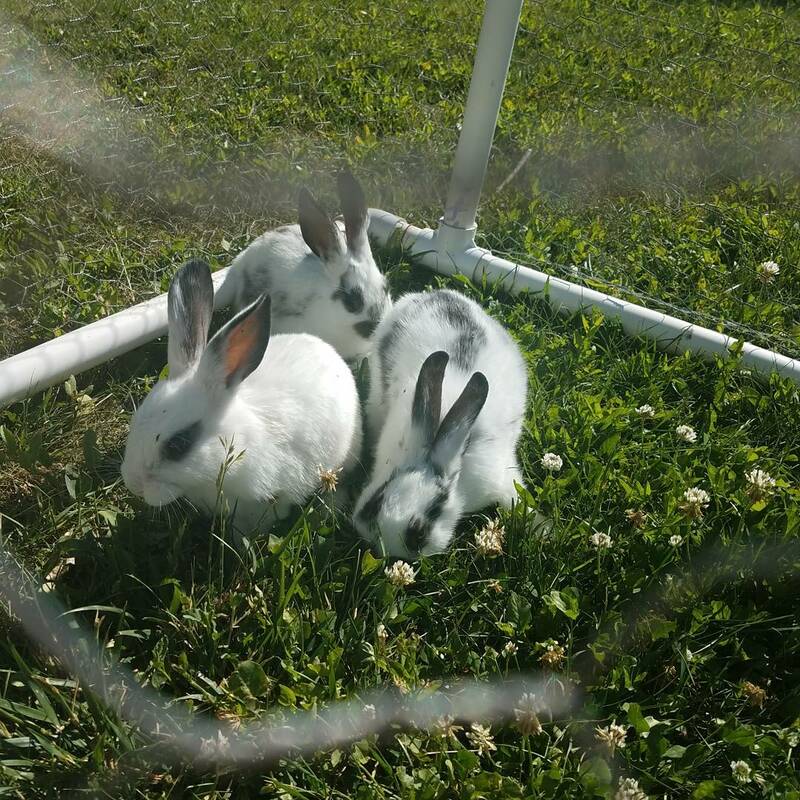 Another area of growth is the rabbits! We finally got some successful breeding with our two does. They kindled in April, and we just moved them into grow-out pens last week. I’m still learning how to tell gender, but we have 8 kits that are big enough to be in their own. They are healthy little babies and appear to be pretty happy! …. And of course, they have the cuteness factor! But this little one, we’ve been calling her Marilyn because she looks live she has eyeliner on. It’s her only black makings! 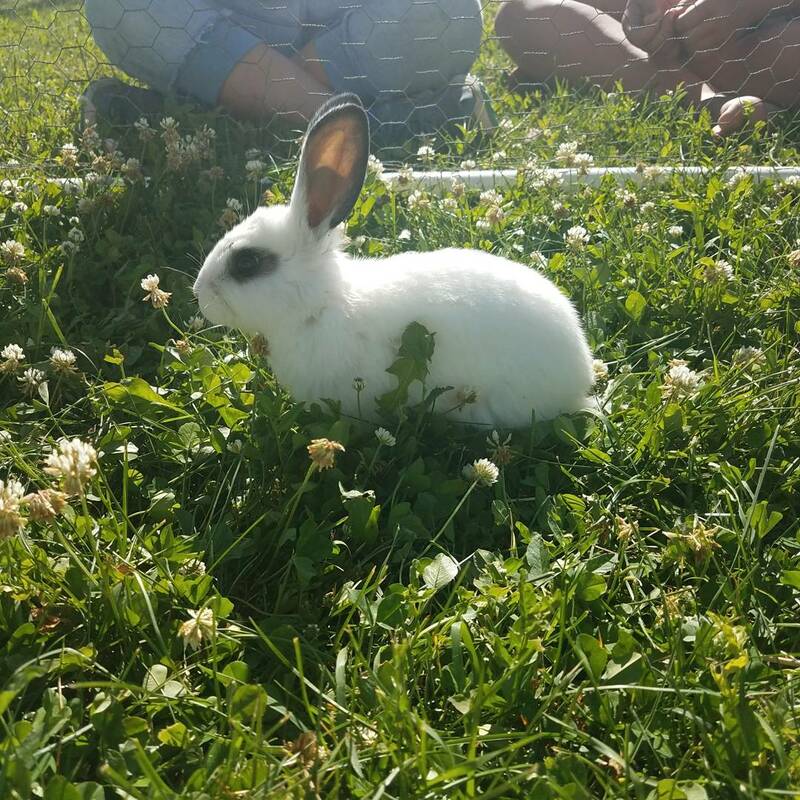 They are loving the grass and they get bigger every day, it’s crazy. The only problem is, now I want to keep them all haha! 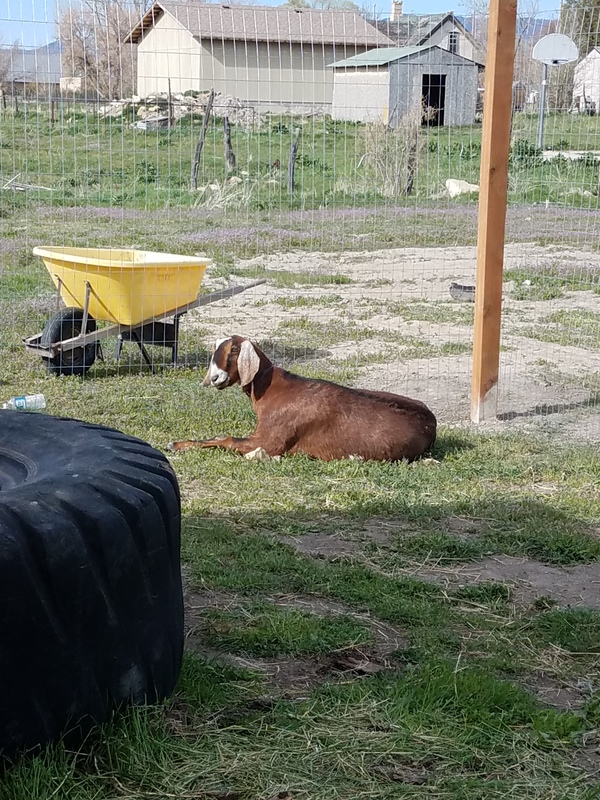 The goats are doing well, we took Lilly to the vet a few weeks ago to see if she was carrying babies. Turns out she’s just fat, but that’s okay with me. She was so skinny and scared of everything when we got her back in February! It’s nice to see her put on some weight. She does still have the limp, and babies her rear right leg. That’s the hardest part about not knowing her history, and sometimes it makes my heart ache for her. Since finding out she’s not pregnant, we have been thinking of not breeding her. I’m wondering if the weight of carrying the kids will be too much for her. The vet said she’s healthy, and she seems pretty happy. Maybe we’ll just wait it out and see. She has improved, maybe she will continue to do so. She will finally come to meet me at the gate in the barn, which is a large step from running from me! 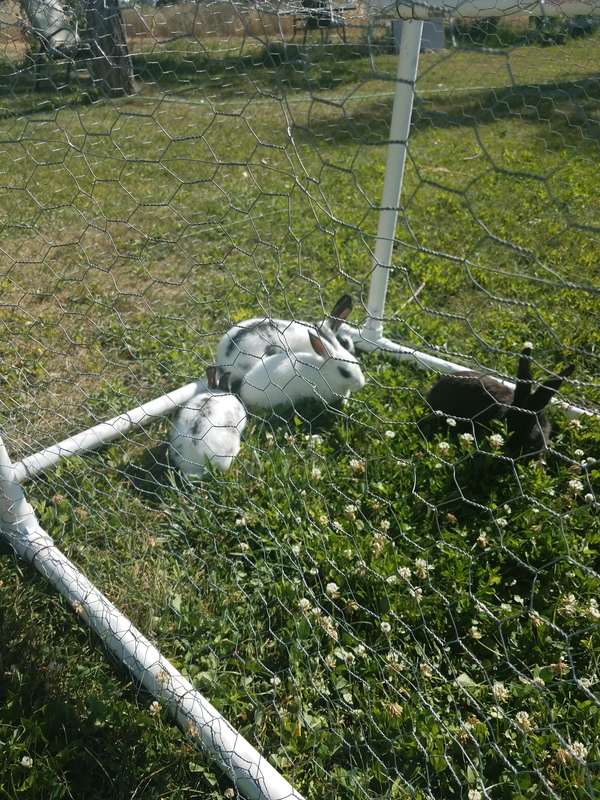 We had a neighbor come disbud Nibbles when we first brought her home (she’s the Oberhasli), and the others were disbudded when we bought them. He was so nervous about getting all of it so they don’t grow back. The funny thing is, out of the 4 new does, Nibbles’ horns are the Only ones that didn’t grow back! So it looks like the other 3 girls will have to take a trip down to have them removed again. We also got the fodder system growing, but the flies have been so bad! At couldn’t keep them out of it, so we have to get that figured out and then we’ll be back in business. Reflecting on these things always make me tremendously grateful. What are your growth experiences? How has your life changed in these last few months?